Source: Eve Carson Memorial Garden. Photo courtesy of Adam Domby. The garden includes a seating area that orients people toward Polk Place, flanked by colorful seasonal shrubs and flowers that were some of Carson's favorites. The seating area is a curved stone bench. Across from the seating is a long stone slab which bears an inscribed quotation from Eve Carson. Plaque to the left of seating: THE EVE MARIE CARSON GARDEN / is dedicated to those students who passed / away while enrolled at UNC Chapel Hill. / In honor of their lives, the garden is a place / for reflection and celebration. The garden was funded by private donations from Student Affairs, Auxiliary Services, past student body presidents and friends of Carson. The garden was dedicated on March 4, 2010 at 4:00pm. Chancellor Holden Thorp spoke at the dedication as well as Bob Winston, chair of the UNC Board of Trustees, Student Body President Jasmin Jones, and former Student Body President Seth Dearmin. Vice Chancellor for Student Affairs Peggy Jablonski read a poem she wrote titled "Ordinary Miracles." Eve Carson, originally from Athens, Georgia, was a UNC student who was shot and killed on March 5, 2008. She was the current Student Body President, as well as recipient of the Morehead-Cain Scholarship. 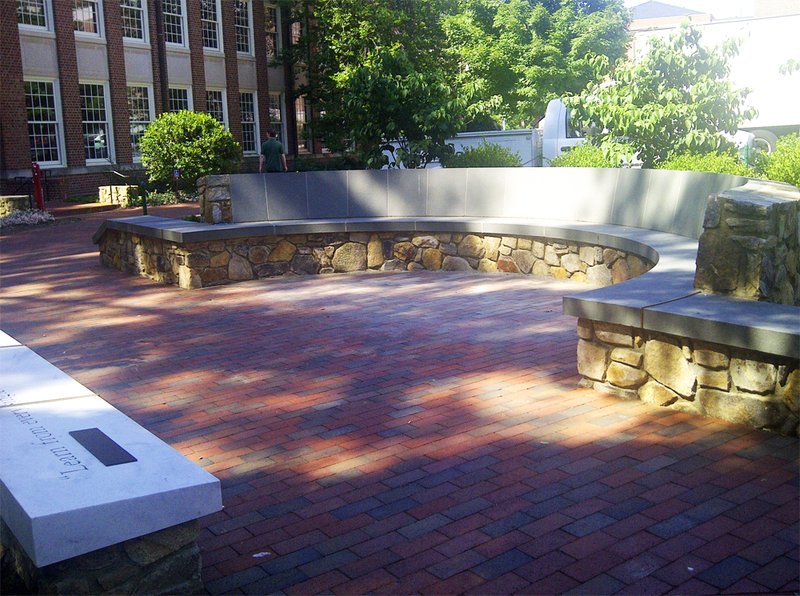 The garden is dedicated not only to Carson, but to all UNC students who died while enrolled at the university. The garden is on Polk Place off Cameron Avenue behind the Campus Y. Students and members of the university keep up the garden, regularly planting flowers. The space is used as a place of reflection and of quiet study for students.